CORE is primarily funded by the Ontario Ministry of Community and Social Services – Developmental Services. To keep up with news in the developmental services sector, please check out the Ministry’s Spotlight on Transformation newsletter. 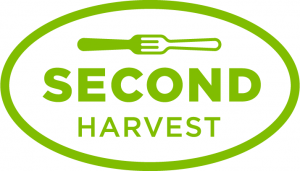 CORE is a proud partner of Second Harvest and operates a Harvest Kitchen program from its facility. Participants in CORE’s industrial kitchen sort food that is rescued and delivered by Second Harvest. They then prepare, package, and freeze meals for Second Harvest to distribute to approved agencies that have a meal program but limited means to cook meals. CORE makes 500 meals daily which are delivered to organizations providing services to marginalized populations in our community, including children, seniors and people experiencing homelessness. CORE also produces 70 full lunches on site for participants in CORE’s Centre-Based Day Program, five days per week.